What are pinholes and holidays? Traditionally, armour is only as strong as its weakest point, highlighting the significant dangers of any subsequent breach. A chink in one’s armour poses life-threatening consequences, not dissimilar to that caused by vulnerabilities within a protective coating. 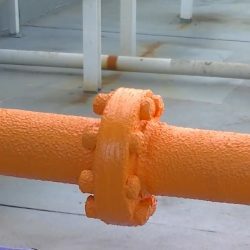 Weaknesses lead to the exposure of the substrate beneath, allowing access to the destructive forces of corrosion and erosion, ultimately making the coating redundant. Within the industry, these defects are referred to as holidays, an area of the substrate that has not been properly coated, presenting as a discontinuity in the coating film. 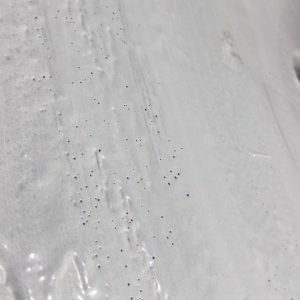 This includes misses, inadequate coating thicknesses, inclusions and pinholes, all of which register as anomalies. Throughout this post, we dispel some myths surrounding holidays and pinholes, whilst also exploring holiday detection and the solutions used to fix these defects. The occurrence of holidays are attributed to either applicator error or a lack of knowledge surrounding the application of coatings. This includes the knowledge of environmental conditions, which affects and overall hinders the application. A common cause of holidays, which is particularly affected by environmental conditions, is the coating viscosity. Imperfect viscosity undermines the success of the overall application. Extreme temperature conditions often cause fluctuations in the coating viscosity, resulting in difficult application. Subsequently, this will form sags and curtains and will undoubtedly lead to misses or skips within the coating structure. The characteristics of the coating, upon application, can also increase the likelihood of holidays occurring once the coating has been cured. 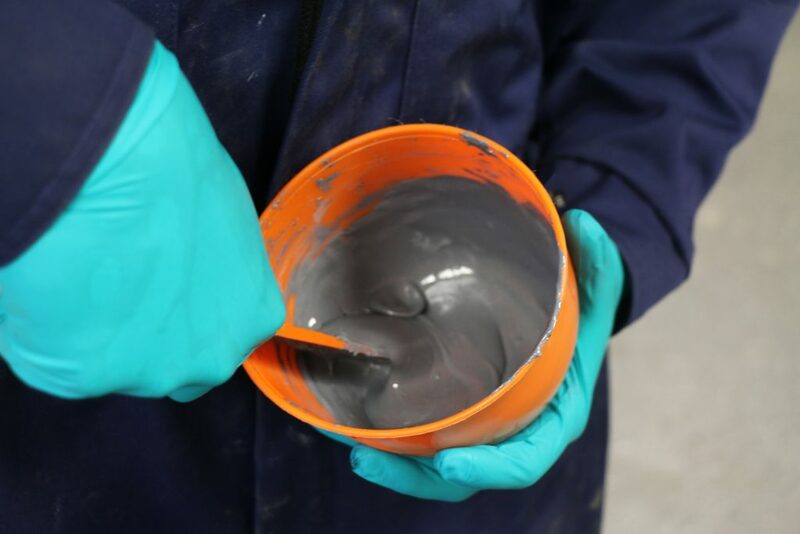 Primarily, insufficient or incorrect mixing of the coating’s components can create areas that won’t cure, leading to disbondment amongst other coating defects. 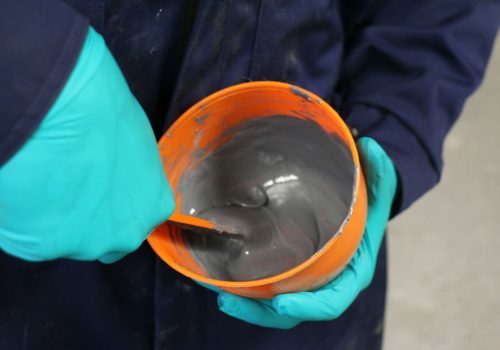 Moreover, overmixing the coating prior to application can combine too much air with the product, creating a significant number of air bubbles. Predominantly, pinholes are formed when air bubbles rise to the surface of the coating, burst and are not resealed by the coating itself. These miniscule holes can be simply limited to top layer of the coating, or continue directly through two coats, exposing the substrate. When brush-coating a substrate, applicators must ensure that they apply two layers. After the initial layer, the second coat must be applied perpendicular to the original, thus covering over any potential holidays that are present. If this doesn’t happen, any existing discontinuities, such as pinholes, may not be covered. 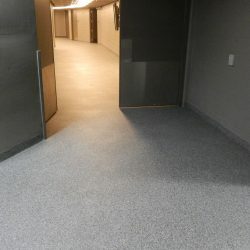 What’s more, significant areas of error stem from difficult to access areas and ensuring that an even coating is applied across the substrate. In perfect practice, applicators should use mirror-access techniques to remove the doubt over discontinuities in hard-to-reach locations. A lot of these defects cannot be visibly spotted. 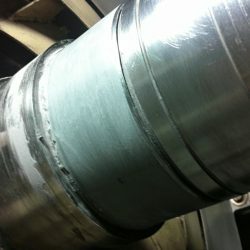 Therefore, certain types of equipment are used to locate coating anomalies. Because coatings are insulative products, protecting the conductive metal substrate, testing this property is the most efficient method of holiday detection. Using electricity to locate these film discontinuities, holiday detectors pass a current over the coating, trying to create a closed circuit with the substrate beneath. An anomaly can be identified by using both high and low-voltage instruments, however each must be matched specifically with the application, dependent upon several variables. For instance, the environment’s conditions must be suitable for effectively testing the surface, especially with regards to the surface conditions. 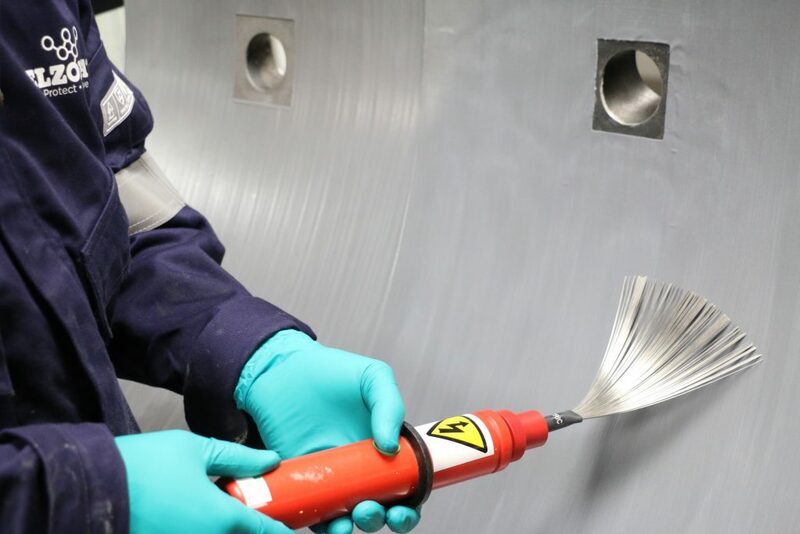 A dry and cured coating is essential for positive test results; otherwise trapped solvents or uncured areas, still present within the coating, can provide false readings. Typically, either the low-voltage wet-sponge test or the high-voltage spark test is used, with each possessing distinctly different capabilities in terms of functionality. 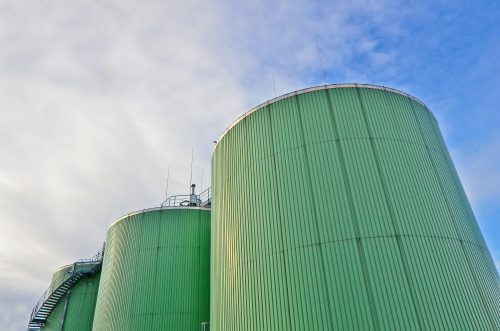 Obviously, the significant difference concerns the voltage of the two pieces of equipment; however, this does impact on the type of coating each can be used for. 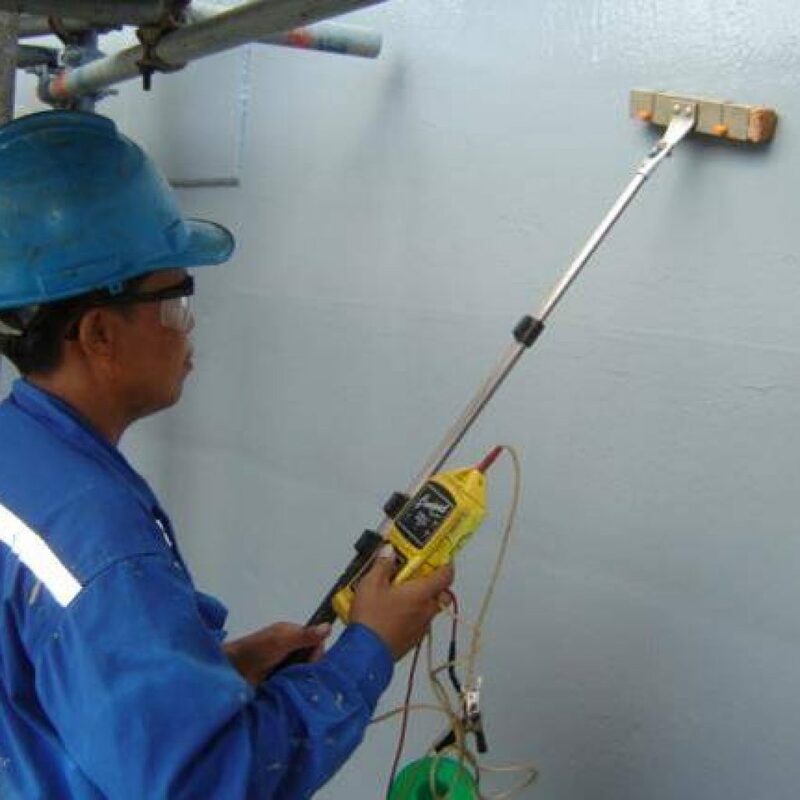 Manufacturers’ guidelines state that the low-voltage wet-sponge testers are only recommended for coatings with a maximum thickness of 500µ (microns). For coatings which are applied at thicknesses exceeding 500µ, high-voltage equipment should be used (assuming that the coating is compatible). Another significant difference concerns how they detect the presence of holidays. 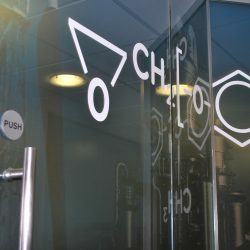 The low-voltage equipment utilises water, as a pathway for the electricity, to connect with the areas of exposed substrate. In contrast, the high-voltage equipment is able to bridge the gap between the tester and conductive material, simply through the air. There are also considerable safety differences in that the wet sponge system operating at a maximum of 90V cannot harm the operator or the coating, whereas the high voltage version operating up to 60,000V can if not correctly operated seriously damage both the operator and the coating being tested. One of the biggest problems surrounding holiday detection revolves around voltage settings and dielectric strength. 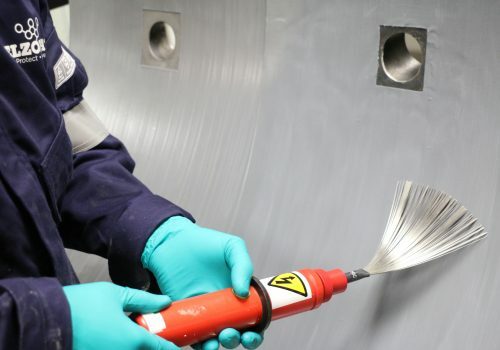 Every coating possesses a dielectric strength, which determines the specific voltage that a coating can withstand, before it begins to break down. Choosing between high and low voltage testers, in addition to setting the correct voltage, so as not to cause further damage to the coating, is crucial when avoiding further coating damage during holiday detection. In order to provide different characteristics and additional properties to coatings, additives and fillers are added. Some of these comprise of metallic fillers, which must be acknowledged before any testing is conducted. 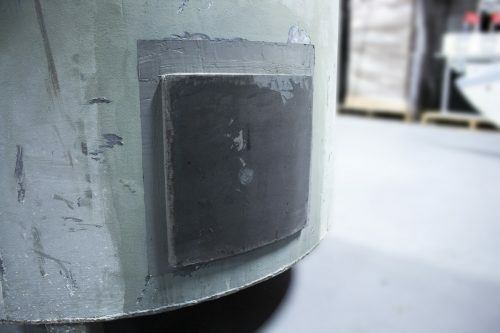 When confronted with metallic-filled coatings, which may be semi-conductive, a low-voltage testing method technique is preferable, for example using the wet-sponge technique. On the other hand, high-voltage testing equipment can be used to discern whether a non-metallic filled coating has a holiday. As highlighted, sometimes the pinholes are so minute that the passage of water from the low-voltage tester, through to the conductive surface underneath, is restricted. In these instances, applicators will use a surfactant in order to lower the surface tension of the water. With a reduced surface tension, the solution is able to penetrate the pinhole and effectively recognise the coating’s defect. Surfactants often improve the performance of low-voltage wet sponge tests. 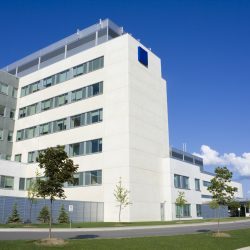 The chances of poor application techniques can be eliminated by following specific coating guidelines and procedures. 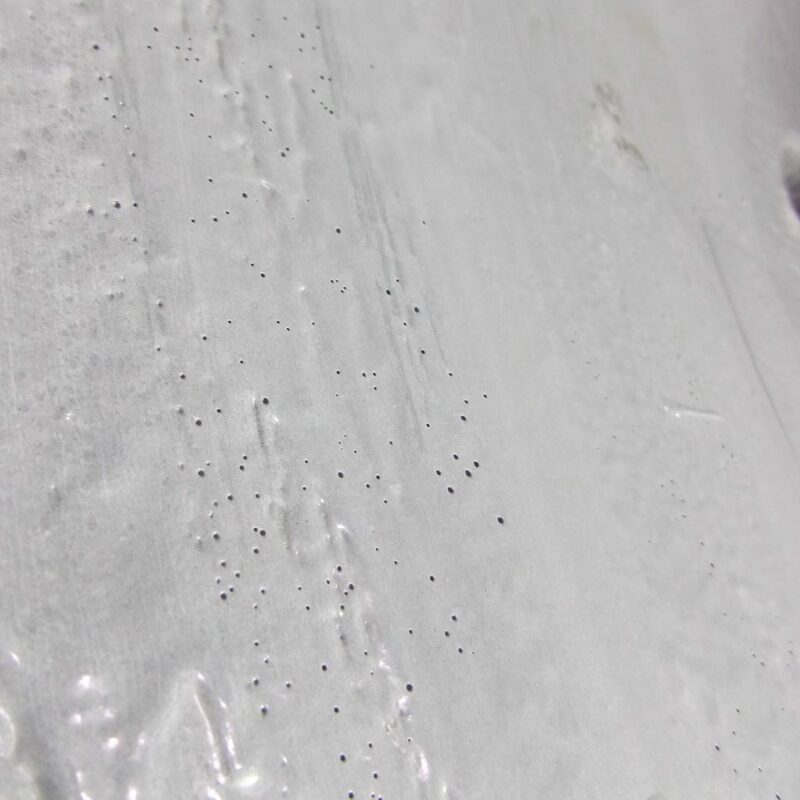 In terms of achieving the best coating possible, void of potential defects such as holidays and pinholes, it is necessary to follow NACE standard SP0188. 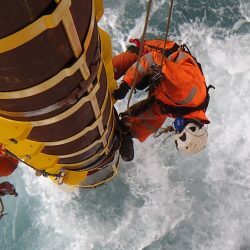 As always, safety is paramount when using equipment of this nature and as part of NACE guidelines, there are certain measures that must be remembered. Inclusive of electrical safety checks, when conducting high-voltage tests, it is necessary to carry out full assessments of the testing environment to ensure that there are no potentially explosive elements. Moreover, complete electrical grounding of the substrate is vitally important to avoid any electrical shocks. Solutions for repairing holidays are completely dependent upon whether the coating can be renewed or not. If the lining is at the maximum coating thickness, then another coating cannot be applied on top of the existing holiday. The area around the discontinuity is initially delineated with the edges feathered in towards the defect. Once completed, the area can be frost-blasted, before a replacement coating can be applied. 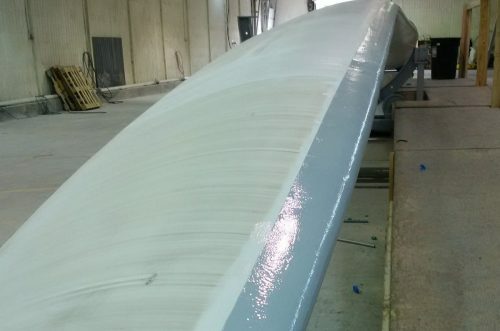 On the other hand, if the coating is under the maximum thickness, another coating can be applied. By simply roughening the surface prior to a successive application, the holiday can be covered and successfully eliminated. After the repair is complete, another holiday test must be conducted in order to establish that the repair has been successful. Notably, the area of repair is the only place that should be tested, in order to prevent excessive stress against the coating’s integrity.